Whatever you are experiencing in life, there is a time for its unfolding, action, outcome, ending, healing, beginning, that is in perfect alignment with HEART TIME. Humanity has created a false web of time that smothers the Earth with confusion and is the cause of stress and the race against time. People are tuning into the wrong frequency of time. Nature is connected to HEART TIME, and Purple Crocus tunes you into Nature’s HEART TIME. Our human mind often wants us to rush through a healing journey, or through the experience of feeling deep emotions (mainly because we are uncomfortable around such feelings and are not used to expressing them/taught how to deal with them). 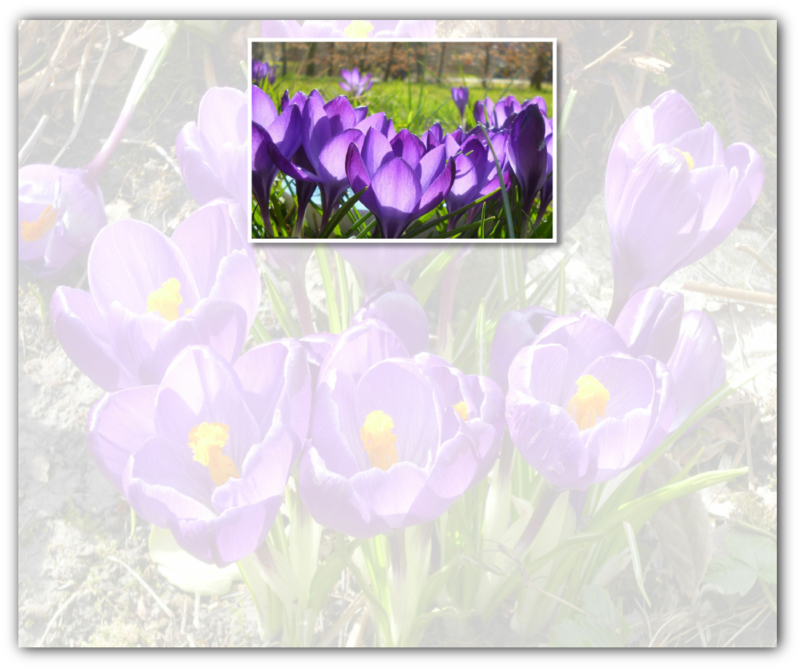 Purple Crocus enables us to comfortably reside deep within in our heart and from here, allow ourselves to experience life unfolding in HEART TIME and to be present with all that we are feeling/experiencing without running away or rushing through it.